Judging by the video for Palma Violets’ endlessly buzzed about single, “Best of Friends,” being a fan of the band looks like a hell of a lot of fun. The perks are endless. You’ll be invited to clubs where the roofs are just a bit too short, a kaleidoscope of colored, blinking lights washing over you as you sing the words you know by heart next to another five or six dozen ravished, loyal fans. The video seems to imply that the guys have, over the course of several months, built from scratch an entire community on the sturdy foundation of one three-and-a-half minute rock n’ roll song. A cathartic montage of sorts is interspersed with the performance - frontmen Chili Jesson and Sam Fryer almost share a kiss then bounce away from each other giggling, the guys play around with their instruments in a practice room, joking, laughing, hugging one another. It’s quite the inspiring clip, almost too celebratory for a band that, at the time, hadn’t even cemented their legacy on vinyl. Such is the nature of the internet age, where okay bands can be bigger than great bands through the power image and infinite, free marketing. I suppose I’d be celebrating right along with them if my single topped NME’s list of 2012 tracks. “Best of Friends,” is good too. In fact, it’s really good. Imagine the Clash if they’d been born in the late eighties and didn’t have any Spanish Bombs to sing about, just failed relationships. It’s a well put together anthem, certainly not one to throw away after the first listen. 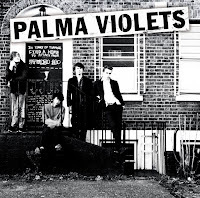 With the song’s massive online success, Palma Violets headed for their first full-length, 180, with one great card up their sleeves and a variety of ways to play it. They could throw their hit in the middle to ensure a little boost in momentum, put it at the end for a big finish, or even (*gasp*) pull a New Order and not include it at all just to prove they could. In the end, they made the riskiest choice possible and stuck it right in the front. Consequently, every track on the record is heard in the context of their big hit. So, the Violets’ gambit to turn their project from novelty to career begins with a bright up-down-up-down on a classic rock organ. The first part of “Step Up for the Cool Cats” that juts out to bust the momentum is Sam Fryer’s voice. He sounds like a totally different guy than before. There’s no strength behind his words, and it stays that way for the rest of the record. You can almost feel the tediousness of the recording process sucking away the joy from every tom hit and every strum until all that’s left is a blank malaise of overused progressions. “All the Garden Birds” sees the guys getting serious, and it’s not a pretty color. It’s clear they’ve listened to a few records by the National, but imitation can’t capture honesty. As things carry on, they borrow bits of populist gravitas from everyone from Springsteen to the Arcade Fire, trying to glue together an aesthetic along the lines of “late-night in the bar after leaving the factory” rock. It’s been done, and when it was it was done with heart. “I’m going over and over and over again/under and under and under again” Fryer sings on what is supposed to be the hair-raising coda of “Last of the Summer Wine.” I wouldn’t believe him even if I knew what he was talking about. There are a couple of good tracks, mind you. The band sound best at their fastest, sloppiest and most garage-rock-y, as on the crackle-soaked “Rattlesnake Highway.” Freed from the chains of straight-faced delivery, I could even imagine the duet of Fryer’s smoky baritone and Jesson’s damaged growl being exciting. Unfortunately, any natural spark and messiness have been effectively cleared out, leaving the sonic landscape empty and unformed. The pace and quality pick up in kind near the end, starting with “Johnny Bagga Donuts.” Again, very Clash, very loud. It’s okay, though, because it’s a lot of fun. You’ve got to do what you’re best at, even if it’s something someone else did first. If 180 was an EP of the three or four best songs here, it would be essential. Unfortunately, it isn’t, and the in-betweens are overwhelmingly alright. Maybe it was the pressure of the absurd expectations that did it. Maybe it just wasn’t time for a full-length. 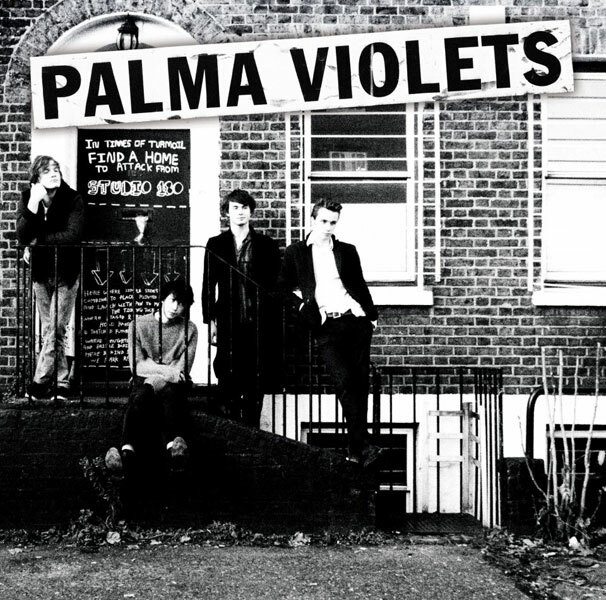 I don’t think Palma Violets are a bad band. I think it’s a shame that their debut was spoiled, because I think they’ve missed their chance to break big, and because I could see them making a great record in the future. But again, such is the nature of the internet age. Don’t give up guys.